Hi, it’s me, long time no talk. I swear I should change the name of this blog to the “Absent Wine Blogger”. On some days, it could be the “Absent Minded Wine Blogger”. I started this blog and my wine journey in August 2009. I needed a voice, an outlet if you will, and I wanted to explore the world of wine and expand my knowledge. Over the years, I’ve completed wine courses and obtained some pretty street cred wine certifications. I’ve also traveled to various wine regions, been wowed by some wineries and I’ve consumed a lot of wine. The wine takes a toll when you can’t seem to just have one glass. I’m not talking the kind of toll where you find yourself in meetings, counting chips. More the kind where you find yourself in meetings, counting points…food points. Hi, my name is Kellie and my vice, uh habit, err I mean hobby…ok, my love of wine is making me fat! It’s been slowly creeping up on me for several years and I’ve finally had enough! So a few months ago my husband and I cut down on our nightly imbibing. At first we cut it down to just 1 or 2 glasses a night and I have to admit, I felt a little deprived. I was so used to grabbing the wine glasses and wine bottle the minute my husband walked in the door. It was just a nightly ritual, like getting ready for bed. Soon I got use to this new routine and when we implemented another change, it really wasn’t that big of a deal, well after a week or so. That additional change, no wine during the week, gasp! Still it wasn’t enough. On May 1, I put my big girl britches on and joined Weight Watchers Online. I immediately dropped a few pounds but still needed a little more. May 22, I joined Jazzercise, boosting my amount of exercise to two hours each day, four days a week. On Tuesdays I high tail it from Jazzercise to Yoga and I also now walk for an hour every single day. I am happy to announce at the day of publishing this piece, I have lost 30 pounds in three months. I have more to go and I’ll keep you posted. Hopefully, it will be a little more often! Now let’s get to the wine. Awhile back I received some wine samples from Banfi Wines under the Natura label. Click here to read about Natura Rosé. Aromas and flavors were a little tight at first and benefit from aeration. Aromas of Bing Cherry. Flavors bursting with black cherry, plum and soft oak finish. Grape Variety: 100% Carmenere. 100% organically grown grapes. Paired with hamburgers topped with slices of avocado. That’s right, I still eat the occasional hamburger and it’s NOT ground turkey, chicken or any other substitute for beef. On the weekends, I keep it under 5 oz and I eat the bun if I want. If I order one in a restaurant, I only eat half. If I have one at home during the week, it’s 3 oz and I usually skip the bun. For the most part, the bun is just fluff. Give me the meat! I’m still working on lowering my wine intake on weekends, this weekend I’m going to try alternating wine and water. Plus, since I have a lower caloric intake, the wine hits me a lot sooner, so the water will help to alleviate the buzz feeling. 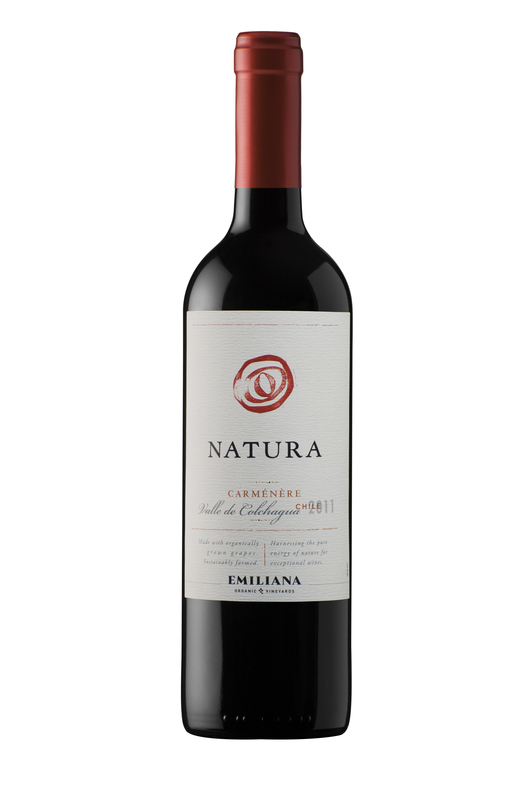 This entry was posted in Chili, Red wine and tagged Natura Carmenere, Wine Chicks Guide. Bookmark the permalink.